Talented actor Nani, is going through a lean phase in his career, as some of his past films have not done well. 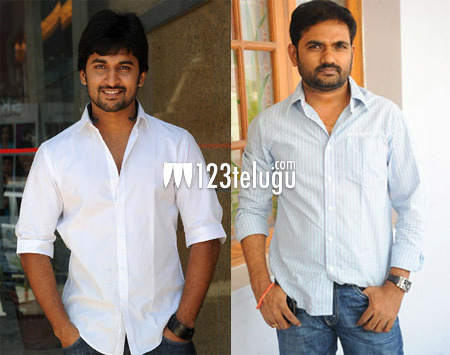 But this has not stopped him work with star directors, and Maruthi is one of them. According to the latest update, Nani will star in Maruthi’s next, and the shooting of this flick will go on floors by the year end. UV Creations or DVV Danayya will probably produce this flick. Maruthi is on a all time high, as his latest flick Lovers is going great at the box office. More details such as story and female lead, will soon be revealed.